I’ve slowly been reading through the various articles in the latest issue of Messiah Journal (issue 116/Summer 2014) but haven’t had the time to comment on it before this. While there are many good and worthy articles contained therein (as always), I was most taken with the one written by Paul E. Meier called “Christian Theology and the Old Testament” (pp 76-94). Paul Meier and his wife, Inge, spent over three decades as Bible translators with Wycliffe Bible Translators and SIL International in Nigeria before retiring in 1996. Meier and his wife heard Messianic Jewish pioneer Abram Poljak in Switzerland in the 1950s and, since 2000, have worked with friends who knew Poljak to preserve his writings in an online archive at www.abrampoljak.net. To learn more about their experiences in Bible translation, visit their website at www.israel-pro.org. I’ve spent almost no time on either website mentioned above. I want to focus on Meier’s article and what it means to me both generally and in terms of recent issues in my little corner of the blogosphere. Meier compares the Bible to a structure with two stories. Access to that structure is on the main floor. To understand the structure as a whole, a visitor must start with the first room on the first floor, visit each room in turn, and only then proceed to the second floor and visit all of those rooms in turn. Upon completing the visits to all of the rooms, the visitor then returns to the first floor, exits the building, and contemplates the experience as a whole to gain insights as to what the structure means. The first floor is what Christianity calls the Old Testament and the second floor is the New Testament. The building is locked, so to gain entrance to the main lobby, you need a key. This key is “interpretation”. In many Christian churches, the main agent of interpreting the Bible is the Holy Spirit. If we believe that God inspired the books of the Bible, we must also accept that God had an overarching plan and purpose as he inspired these various texts. Yet if this is the case, we need to ask, why are there so many extant interpretations of these same texts? Why do so many interpreters arrive at different conclusions? How can they all claim to have been led to these disparate conclusions by the same Holy Spirit? Meier “hooked” me at “overarching plan and purpose.”, because I believe the Bible is a holistic document describing the historically sweeping panorama of God’s plan for Israel and the world, not something to be carved and sliced like a Thanksgiving turkey (“I only like the drumsticks”). I have asked the exact same question that Meier posed above to Pastors and online religious pundits, and their answers have ranged from “sin” to “not trusting the Holy Spirit” to “being influenced by the interpretations of men.” None of these responses have been particularly satisfying, since you’d expect some subset of Christians who are truly receiving interpretive revelations from the Spirit to all share an identical perception and understanding of the Bible. And that body does not exist. Instead, we have churches upon churches upon churches and many other congregational groups that all have their individual “take” on the Bible, and even within a single congregation, it’s common to encounter many different individuals who have their own way of looking at different areas of scripture. I think I’m getting a headache. Scripture points out that the understanding of individual believers is fragmental; each one of us has been granted a different degree of insight (1 Corinthians 13:9-10). The dimensions of God’s love are so vast that the whole body of believers is needed in order to comprehend them (Ephesians 3:18). God may give more insight to some than to others; he gives to each one according to the measure of his grace (Romans 12:3, Ephesians 4:7). In other words, not all believers are created equal in terms of how the Holy Spirit will speak to them of the Bible, nor are all believers identical as far as their innate cognitive, perceptual, and interpretive skills sets relative to the Bible. We are each granted the gifts God has provided “according to the measure of his grace” which may have something to do with why we all see the message of the Bible differently. That doesn’t explain why many of us have contradictory perceptions of the Bible, but what can and does get in the way is our own humanity, our needs, our wants, our “I’ve got to have it this way”. This may also explain why it’s better for us to congregate in somewhat diverse groups rather than go it alone in Bible study or only study with people who think and believe exactly as we do. Think of it as a group of people all trying to put a jigsaw puzzle together. 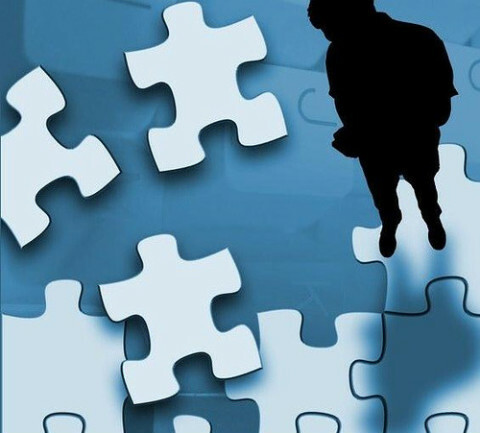 But the pieces of the puzzle aren’t loosely collected in a central box, they’re loosely collected in the pockets of the different people building the puzzle. First, these people have to come together and be willing to cooperate by sharing their pieces with the others. Ideas of how the pieces fit together will vary, sometimes widely, but (and this is where I think the Holy Spirit comes into my little analogy) finally with all the pieces on the table, one by one, the group begins to see a pattern starting to emerge. But what if you go to a Baptist church, and the person who holds some of the vital pieces to the interpretive puzzle attends a Messianic synagogue thousands of miles away? Interesting problem. We might have to expand our understanding of Biblical hermeneutics to realize that it’s not just the particular method we employ in our interpretive process, it’s the people we have on our team, the necessary talent that they possess and we lack, that will make the difference. A second principle to keep in mind is the fact that the different texts that comprise the Bible were written in diverse literary styles; furthermore, they were composed over hundreds of years, and each text reflects a then-current understanding of the past, present, and future. Different parts of the story were revealed at different times; God alone sees the entire story from beginning to end. This will likely appeal to dispensationalists and progressive revelationists, and Meier does believe that God progressively revealed himself in history. On the other hand, most dispensationalists believe that the text of the Bible becomes more important and relevant as time passes, leaving the older sections of the Bible to decay and finally become obsolete. This leads most Christians to possess a very high view of the New Testament and a lower to very low view of the Old Testament, with some church Pastors almost never referring to the Old Testament at all in their sermons and classes. This hasn’t subsequently gone away. 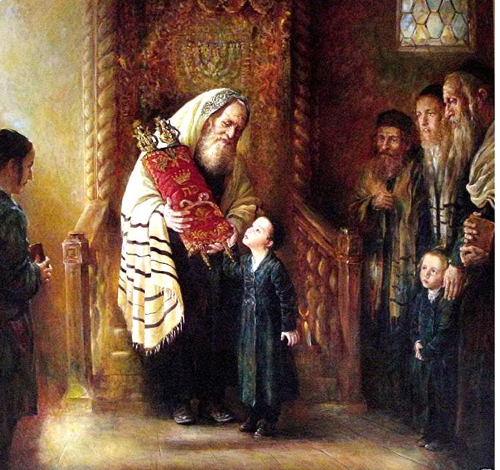 Any church that teaches “the Church” is the primary body of Messiah and the center of God’s attention and relegates national Israel and the corporate body of Jewish people to playing second fiddle is an inheritor of “Gentile triumphalism.” And lest you are tempted to include Jews in “the Church,” I must remind you that the price of admission a Jewish person must pay for entry into “the Church” is a surrender of most if not all that makes that individual a Jew, apart from a string of DNA, including any view of the Torah that has the mitzvot remaining relevant and obligatory for a Jew. The great reformers Calvin and Luther modified their inherited filter and read the Old Testament in fresh light; unfortunately, they were not able to overcome their inherited tendency to interpret many Old Testament prophecies allegorically. Thus the history of the (Gentile) Church, from its very inception in the second century CE into the modern age, has inherited interpretive traditions and structures that are so integrated into general Christian theology and doctrine as to be indistinguishable from actual “God-breathed” scripture itself. My own attempts to summarize Gentile involvement in the New Covenant, which depart from standard Christian fare, illustrate how tightly bound are inherited interpretive tradition in Christianity to what the Bible does and doesn’t say. If I could give the Meier article to each person reading this review, I would, because it’s just that important to how Christians interpret and (often) misinterpret the Bible. I can’t describe everything Meier wrote, but I can point to a few important matters related to how we generally devalue the Old Testament and build our New Testament “castle” in the clouds with practically no foundation at all. The Old Testament is a record of the history of the Hebrew people, the history of Israel. A theology in which Israel has no prophetically significant role in the future is a theology in which Israel has no significant role in the present. I point you to recent events in Israel to illustrate Christianity’s (or some of its representatives) disdain for the Jewish people as a result of the devaluation of Israel’s history, the Old Testament. This is the classic error in much of Christianity including some portions of the Hebrew Roots movement, and their requirement for this lack of distinction between Jews and Gentiles in the body of Messiah necessitates them making artificial, interpretive shifts in their viewpoint of the Bible, particularly the Old Testament, to justify their position. Do you see where this is going? 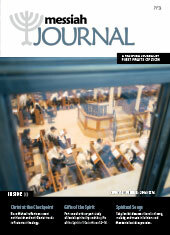 Regardless of whether Israel’s original identity as a unique and especially chosen nation, the Jewish nation, is removed (Hebrew Roots/One Law) and/or replaced with a fused Jewish/Gentile identity, or it is set aside during the “church age” (Christianity), the result is exactly the same, and the cause is a misunderstanding and misapprehension of the content and significance of the Old Testament in being the chronicle of God’s covenant relationship with Israel. When we do not understand the Old Testament on its own terms, it becomes difficult if not impossible to understand God’s nature, plan, and purpose. We find it difficult to explain why God chose one nation through which to reveal his being to the rest of mankind and to express his desire to bring salvation, because we fail to acknowledge the historical reality that Israel and God have been in covenant for millennia and that God chose to reveal the texts of the Old Testament within the context of this covenant relationship. And yet, many, many Christians put the New Testament at a far more exalted level than the Old Testament, ironically enough, cutting themselves (or the true understanding of salvation and the Good News of Messiah to Israel and then the nations) off at the knees. A third problem is that many Christians believe that the Old Testament must be understood through the eyes of the New Testament. I’ve spoken with Christians, both in person and online, who do not believe that any rendition of living relationships and events in the Old Testament have any intrinsic value or meaning, but only exist as “types and shadows” of Jesus and the Church. Some don’t even believe that the people we see in the Old Testament were real people, only “stories” pointing to Jesus. From their perspective, Abraham and Sarah never existed as actual individuals. Neither did Boaz and Ruth. They were mere representatives of Christian redemption and salvation. Only the Church matters, just “me and Jesus”. 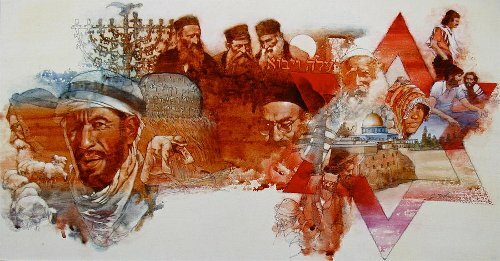 I ran into this “Israel-in-person” theology just the other day in the Jesus-believing blogosphere which illustrates that even with the best intentions, and even with believers who have a strongly stated love for Israel and the Jewish people, it is still quite possible to let a deeply underlying tradition and multi-generational history of how we view the Old Testament and consequentially, the Jewish people, distort the reality of God’s New Covenant plan for Israel (and for Gentile Christians), present and future. Jesus stated that he was sent only to the house of Israel, yet he came to prepare that house to carry God’s message to all humanity. This plan was described throughout the Old Testament (for instance, Psalm 87, Isaiah 49;6). The plan and purpose of Messiah in relation to Israel, the New Covenant, and inclusion of Gentiles can only be properly understood by taking a high view of the Old Testament and being willing to make the Old Testament the foundation of your understanding of the Bible, reading scripture from earlier to later rather from Paul backward. Otherwise, you end up with what Meier calls a “Christianized Jesus” rather than Moshiach, Son of David, the Jewish King. God revealed his nature and his intentions progressively across the history of Israel. Yet later revelations do not replace earlier ones; rather, they build upon them. If you remove the earlier covenants and their conditions in order to “make room” for later ones, you are removing the foundation and framework of the house in order to put on the siding and the roof. You end up with a structure that cannot possibly stand. On the other end of the spectrum, the most conservative scholars take an overly restrictive stance, teaching that one must rely on these kinds of typological interpretations only when the New Testament explicitly confirms them. Have you ever heard a Christian Pastor or lay teacher say that commandments in the Old Testament only remain valid for Christians if confirmed in the New Testament? I have. It’s like saying the “sacrament” of marriage remains valid because it was confirmed by Jesus in the New Testament (Matthew 19:5, Mark 10:8) but keeping Kosher is not, presumably because of Mark 7:19 and Acts 10:15. Really, who made that rule up? Obviously someone who didn’t believe “all scripture is God-breathed” (2 Timothy 3:16-17). For if all scripture comes from God, and the only Bible Paul had when he wrote those words was the “Old Testament,” then whatever we have in those ancient scriptures can stand on its own “legs” and doesn’t need the writings of the apostles to support it. There’s a lot more I wish I could share with you about Meier’s article, but this blog post is long enough as it is. I may write one more “meditation” on something Meier said about how much we do (or don’t) translate sections of the Old Testament into the languages of people in other cultures who have never been exposed to the Bible before. How much of the Bible do we really teach them in their own language, and what impact on their understanding of the true Jesus Christ do missionaries impart who not only distort the Old Testament due to their devaluing it, but who actually leave out much or most of the Old Testament books in their work with new disciples of the Master? I don’t believe Meier is attributing bad motives to Christians who take a low view of the Old Testament. 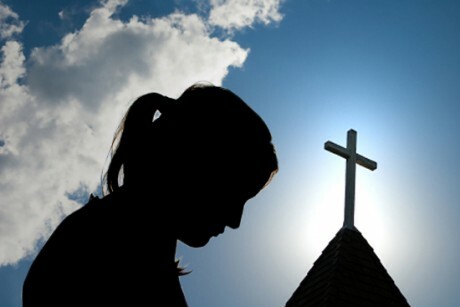 After all, they (we) are doing what Christians have been taught to do for hundreds and hundreds of years, by a tradition that goes back to the early church fathers and was then inherited and re-enforced by the men of the Reformation. But a low view of the Old Testament means a low view of Israel in God’s past, present, and future plans, and a low view of Israel fragments the foundation upon which the redemption and salvation of Gentile Christianity is supposed to rest. When we disdain the Old Testament and set aside the centrality of Israel, we not only insult God, we destroy our own future in the Kingdom. This is why I keep on writing as I do. I cannot allow so many believers to innocently, unknowingly face a supposed salvation in which they feel utterly secure, but in reality, one that is constructed firmly on shifting sand. Previous PostSermon Review of the Holy Epistle to the Hebrews: Laying on of HandsNext PostWhen Jesus Returns, Will We Go To Church?